Fire doors are a vital part of passive fire protection, they give reassurance that in the unfortunate event of a fire it can help save lives and property. That is why we have choosen to support and raise awareness for Fire Door Safety week. 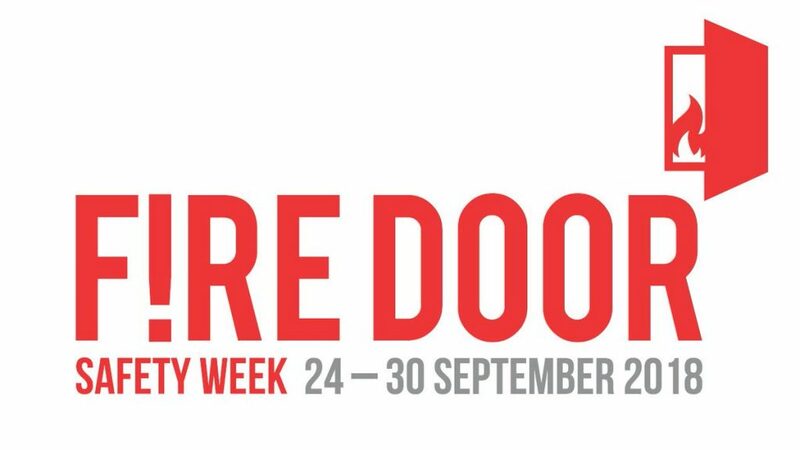 Fire Door Safety Week is a campaign running from 24th – 30th September 2018. It’s purpose is to raise awareness of the critical role of fire doors by encourage building owners to check the operation and condition of their fire doors and encourage reporting of faulty fire doors. All whilst educating the understanding of correctly installed fire doors. Not only is important to raise awareness of incorrectly installed or damaged fire doors but to also remind that fire doors must always be kept shut and not be wedged/propped open. The ‘Fire Door Keep Shut’ sign is there for a reason.